St Peter & St Paul, Church Walk, Headcorn, Kent TN27 9NR. For directions, see the map at the bottom of this page. 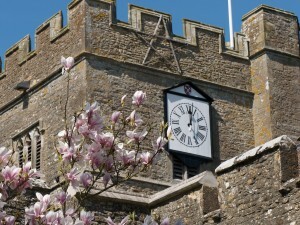 The Parish Church is open every day until after Evening Service, weekdays and weekends. To grow together in our knowledge of God, through Jesus Christ. To deepen, through the Holy Spirit, our commitment as disciples of Christ. To share, through word and deed, our faith with others in the community and beyond, as a witness to the living presence of Christ in the world today. Traditionally Eucharistic, and with regular services for young people and families. Common worship Order 1 is used. Christians of all denominations are warmly invited to all services. The ‘Sunday Club’ for children up to 11 years, meets on the second and fourth Sundays at 9.45am and joins the main morning service during Holy Communion. The ‘Young People’s Fellowship’ for 11 years and over meets on the second Sunday each month, at 6.30pm. ‘Sunbeams’ – our group for pre-school children and parents – meets on the first and third Fridays of the month, at 10am. “Messy Church” takes place on a Saturday afternoon about four times a year. The PCC meets in the Parish Rooms on alternate months. There are house groups during Lent each year, and a bible study group throughout the year. A Ministry house group meets regularly. Another house group meets regularly to arrange events of a social nature, to promote fellowship, and carry out various practical tasks. Click on a thumbnail to view further. The Church has an active bellringing band, whose practice night is Thursday, and also a choir, led by a choirmaster. The choir practice is on Friday evenings. 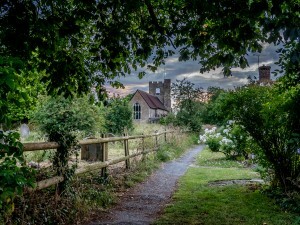 The Headcorn Parish Magazine, produced and published by Headcorn Parish Church, acts as a strong link with the community, with regard to both content and distribution. 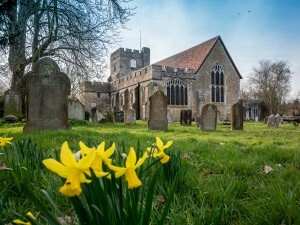 Headcorn Parish Church has served our community for over 900 years, whether it be for regular worship, those important life events such as christenings, weddings and funerals, or just as a place to sit and contemplate, away from the hurly-burly of modern life The doors are open each day to visitors. 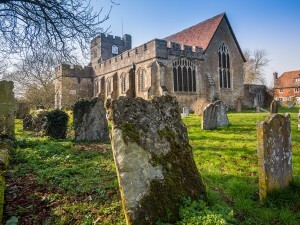 Historical records show that there was a church in Headcorn before 1100 and parts of the present building date back even further. We cannot imagine this venerable, gentle giant of a building falling into disrepair but its constant care and maintenance is costly. 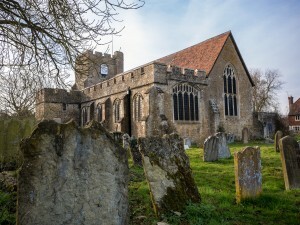 Our group, The Friends of Headcorn Parish Church, was formed many years ago; today, its members are drawn from both the regular church congregation and the wider village community, united in our wish to preserve and adapt this fine old building. 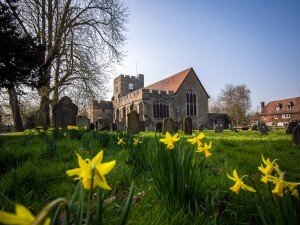 Together, we work to raise funds to enable our church to continue to serve the residents of Headcorn and to ensure that future generations have their chance to enjoy it also. We are a local group, serving a local need and we are sure that there are many Headcorn residents who might wish to join us. 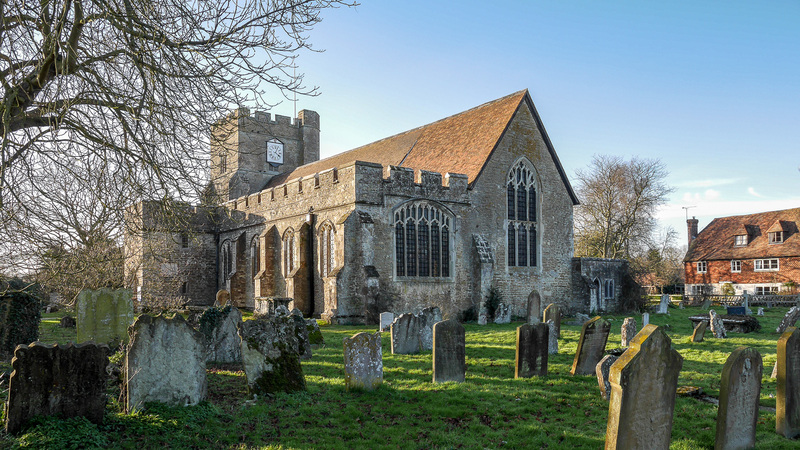 If you are interested in becoming a Friend of Headcorn Parish Church, we would be very pleased to hear from you. For further information, please contact Tim or Jenny Munt on 01622 891724, or email jenny@muntonline.com. Regular contact is maintained with the village primary school, and a good relationship exists. 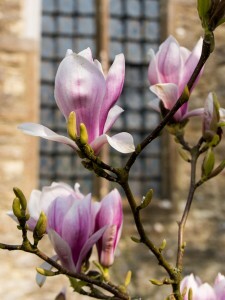 They hold regular services in the Church and the vicar often visits the school to take assemby. There are no secondary schools in the parish. We enjoy a good and co-operative relationship with the other three churches in Headcorn, Roman Catholic, Baptist and Methodist. Churches Together in Headcorn meets regularly to arrange shared worship and events. The Parish Church is dedicated to St. Peter and St. Paul, and the present building dates back to the 11th century. The nave of this church was probably on the site of the present chancel, whose north and east walls date from that period. 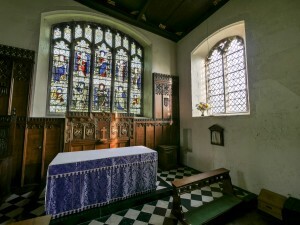 A south aisle, in the area of the present Lady Chapel, was added in the 12th century. In the 13th and 14th centuries, a new nave was constructed, and the present south aisle was added in the early 15th century. Later in the same century, the tower and south porch were built. The nave roof is an exceptionally fine example with deep mouldings and massive rafters. 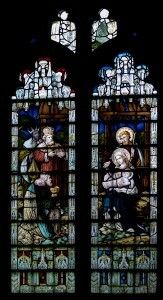 In addition to the Lady Chapel, there is a small chapel at the west end of the south aisle, dedicated to St. Nicholas. Externally the church is approached through a lychgate, built to commemorate the year 2000, and donated by the people of Headcorn. The avenue of trees along the path were planted for Queen Victoria’s Diamond Jubilee. Headcorn is lucky enough to have its own Archive Centre at the Village Hall, where a wealth of local history information is stored. 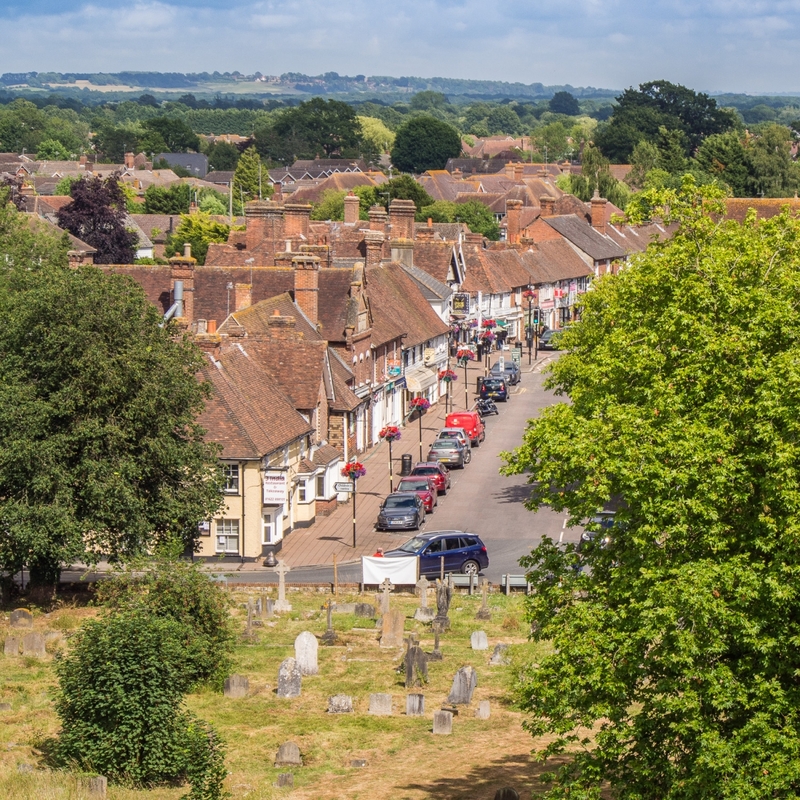 If you have a local history or family history enquiry relating to Headcorn, please contact them, giving as much detail as you can about the person, family or place you are investigating.